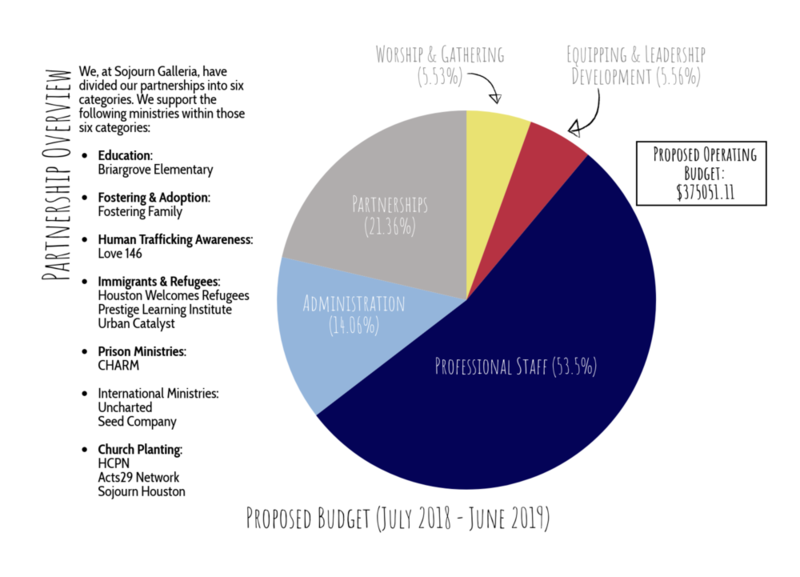 At Sojourn Galleria, we believe that our annual budget is a theological document, a statement of faith. We strive to spend God’s resources as stewards, not owners, aligning our expenditures with our values. We aim for transparency, accountability, and honesty in all we do. Please email us below if you have any questions or would like more detailed information.